Those who don’t know much about guns or their place in American culture are easy to seduce toward the diatribes of those who fundamentally want to change our nation into something else—a much less morally reticent and overwhelmingly evil utopia for the socialist of heart. They think of the NRA as a mean spirited organization resistant to change. Well, resistant to change is true—because what gun-grabbers want to change America into is something that gun owners typically don’t like. I am obviously a member of the NRA, but also of satellite groups within it—affiliates such as Second Call Defense. I’ll remind you again dear reader, if you go to the Second Call Defense website and type in Overmanwarrior, they’ll give you your first month free—and you should do that—for your own good. I am also a very proud new member of the Cowboy Fast Draw Association—which reflects my new hobby/career as a gunfighter. I’m so serious about it that I’m thinking of listing it as my new official profession. As we speak I am turning the basement of my home into an indoor shooting range specific to that hobby—and I’m very excited about it. The reason why is that I love the type of people who are in these groups—especially the CFDA. They live by a very specific code of ethics called the Cowboy Way. Below are a few examples of that way of life for which gun owners in the CFDA adhere. A cowboy never takes unfair advantage – even of an enemy. A cowboy respects womanhood, his parents and his nation’s laws. Only through hard work and study can you succeed. Don’t be lazy. Your good deeds always come to light. So don’t boast or be a show-off. Our country’s laws are made for your protection. Observe them carefully. When people or groups of people criticize the “Wild West” and “cowboys” in general they are essentially attacking the values expressed above. In today’s world those values might appear to be out-of-step, and archaic—but I think they are a whole lot better than what anybody in the world of today is adhering to. The mythology of the American gunfighter as expressed by the values of old cowboys like Gene Autry and Hopalong Cassidy is worthy of more serious consideration. When I talk inflamingly about being an American gunfighter it isn’t so much to have the ability to shoot human beings—it is to behave in a way to protect the Cowboy Way reflected above. Being a gunfighter isn’t about fighting with guns—it is about fighting for them and propping them up as a symbol of those Gene Autry values. I dare anybody from any gun-grabbing group to criticize those Cowboy Way values—because those who do have designated themselves villains against the American philosophy that built our nation. Guns in American culture is not about killing, or even hints at violence—although those are certainly associations most common to weapons of all kinds. Guns are about preserving the Cowboy Way, which is why NRA members and other shooters tend to embody respectful values toward one another that reflect those elements because the traditions that guns protect are rooted in the Cowboy Way. That Cowboy Way was established during a period of western expansion that took place after the Civil War and was built up through a mythology of the American gunfighter. The strength of that mythology lasted well into the next century all the way up essentially until the 1960s when communist insurgents implanted themselves in the hippie movement and advocated against those Cowboy Way values. Being a gunfighter is an essential part of American culture and with every gun grabbing politician and modern entertainer who stands against that Cowboy Way mentality we all have a right to be extremely angry at them for what they are trying to do. One of the ways I am combating that imposition and channeling that anger in a constructive way is in taking up membership with the Cowboy Fast Draw Association so that I can preserve the way of the cowboy from an older generation that needs some support. They are directly an affiliate of the NRA—so they are gold in my book. Additionally, I have lent myself to the Second Call Defense for the same precise reason. An armed America is a good America because the roots of gun ownership resides with the philosophy of the Cowboy Way—which is a whole lot older in this country than the recent progressive slant toward European sentiment. When I say I intend to be a gunfighter as a profession, it doesn’t mean that I plan to assassinate bad guys with a gun—although if I do find myself in a self-defense shooting, I have my Second Call Defense card and I’ll let them handle the police when and if it happens. So far Second Call Defense has an excellent track record. Most self-defense shootings by members aren’t even going to trial because of it, because police know that with Second Call Defense they can’t use a shooting to politicize an issue or justify their false interpretation of the law under the scrutiny of a pro Second Amendment lawyer. So they just leave the case alone to avoid the embarrassment of prosecution in court. A lot of times the shooter in those self-defense cases has a lot more rights than they think they do, and gun-grabbers hope that the general public never learns that reality—so they can continue to weaken the Second Amendment due to ignorance. I see Second Call Defense as a perfect way to strengthen the Second Amendment, so I am a supporter. I carry my membership card proudly. Yet for me that’s not enough. I want to be even more proactive in defending the Second Amendment especially due to the latest round of incursions from the political left. We have talked about this gun-grabbing time for a long period leading up to this latest phase, so now is the time to buckle down the defense of the Second Amendment into something more voracious. That’s why I’m proud to be a member of the Cowboy Fast Draw Association. 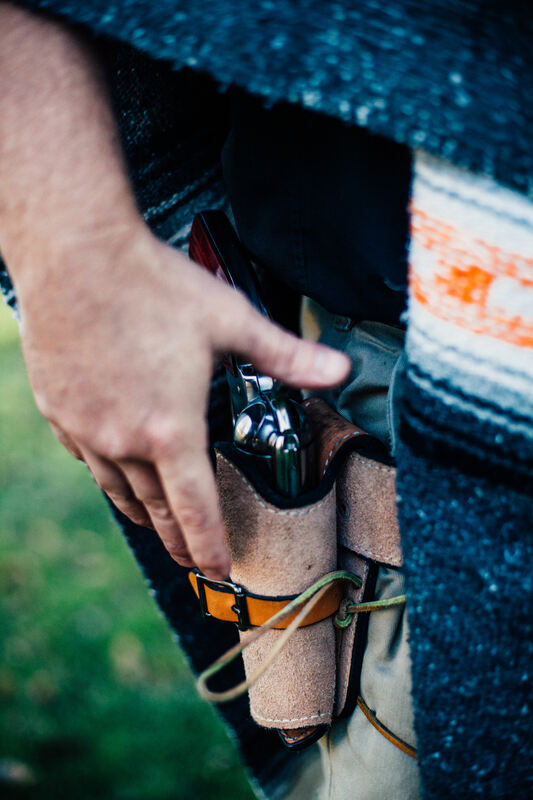 They stand for the roots of firearms ownership, the Cowboy Way—the mythology built around gunfighters and the capitalist oasis that they paved to become the greatest country on earth. There is no way to remain a great country without private gun ownership because it all starts there—not with the intent to kill or maim with them—but in honoring guns as the instrument of focus for establishing a Cowboy Way of thinking evolved through the heart, bravery, and tenacity of the American gunfighter. The Cowboy Way is a mode of thinking that not only needs to be resurrected in American culture; it needs daily maintenance to solidify into something for which society can build their foundations upon. It completely changes the way people interact with one another—it’s a code of conduct that works hand in hand with capitalism to bring prosperity to all who dare wake up in the morning to enjoy it. It’s unlike anything created anywhere on the face of planet earth during any period of history ever known. So there is no comparison to other nations and what they are doing to ban or reject guns from their societies. America is unique, and part of that story comes from the Cowboy Way. It’s not something we need to change or further contemplate—it is something we need to be proud of and to strictly adhere to from here on out—and that begins with maintaining a love with guns that has been abused due to political influence that is completely unwarranted, and destructive. Great article, we need more folks willing to stand up and fight for the constitution, and less folks trying to bastardize it.